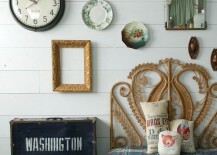 There are few styles that seem to polarize design aficionados like ‘shabby chic’. 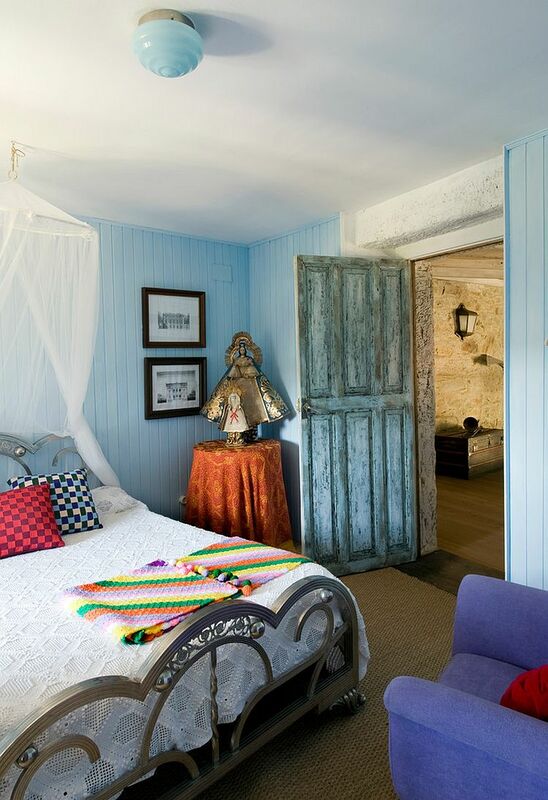 Some absolutely love the simplicity of the aged décor it brings in and the tranquility that it seems to create, while others find it too feminine and far from practical. 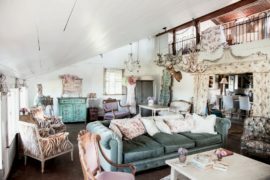 Regardless of which camp you fall into, there is little doubting the fact that shabby chic has made giant waves in the world of interior design over the last two decades. 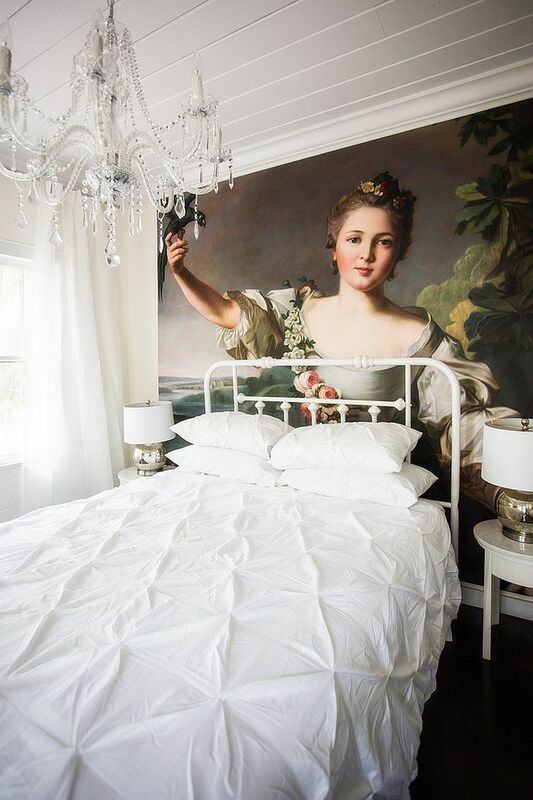 Today, the elegant style is more popular than ever before, and homeowners are increasingly gravitating toward its charming appeal. 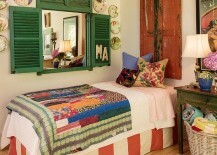 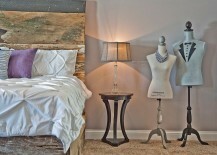 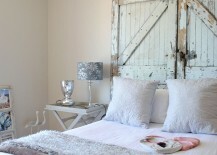 If you want to try out shabby chic, NOW is definitely the time, and the bedroom is the perfect place to get started! 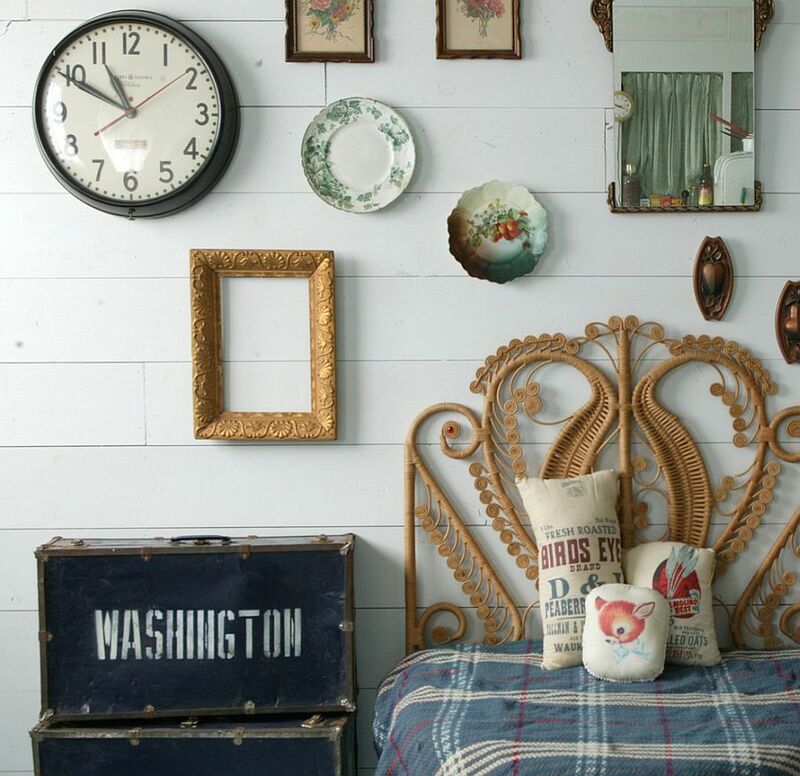 Vintage and antique finds are the lifeline of shabby chic, no matter which subtle twist you wish to incorporate into the style. 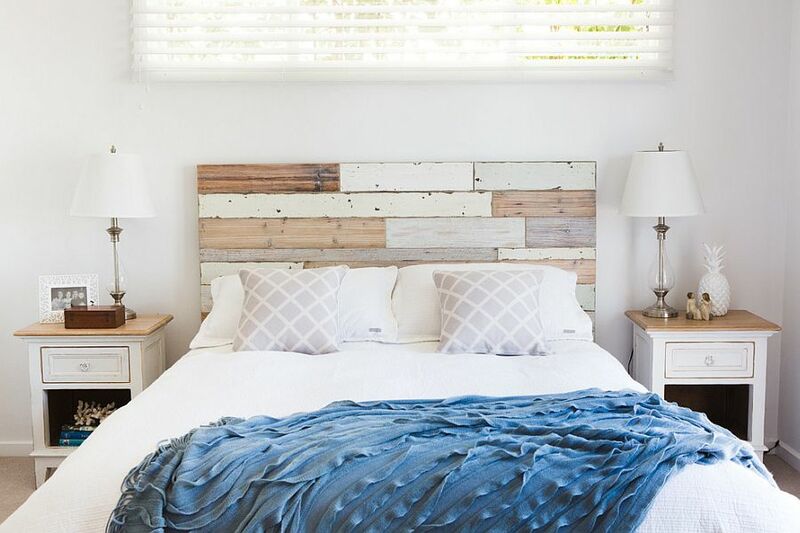 Distressed finishes are always welcome here, as décor with an aged, worn-out look helps give that touch of authenticity to the bedroom. 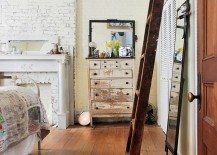 In fact, it is the genuinely aged furnishings that seem a lot more at home and welcome in this setting than those that have been treated to get a similar finish. 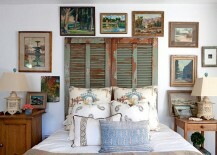 Of course, this means that a trip to the nearest thrift store or flea market is the best way forward when shopping for shabby chic bedroom décor and accessories. 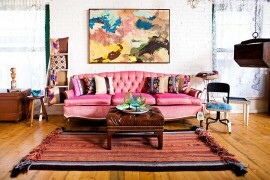 There are times when you will uncover an absolute gem in a nearby garage as well, so always keep your eyes open! 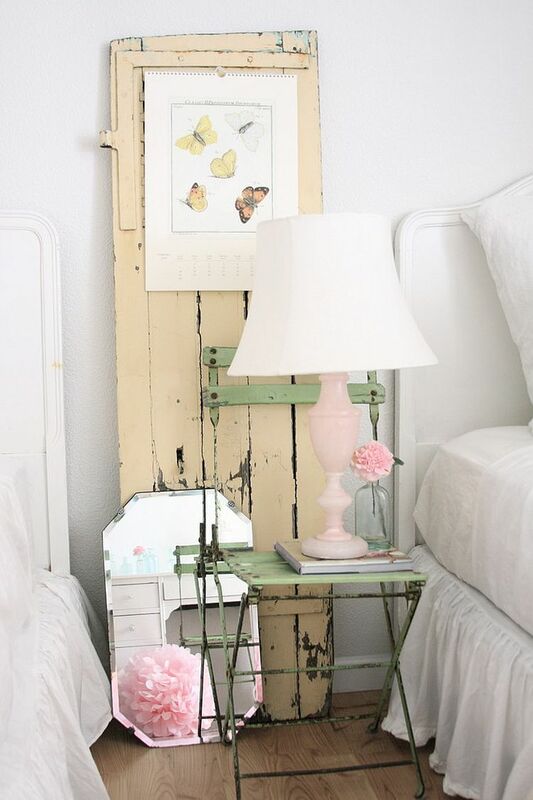 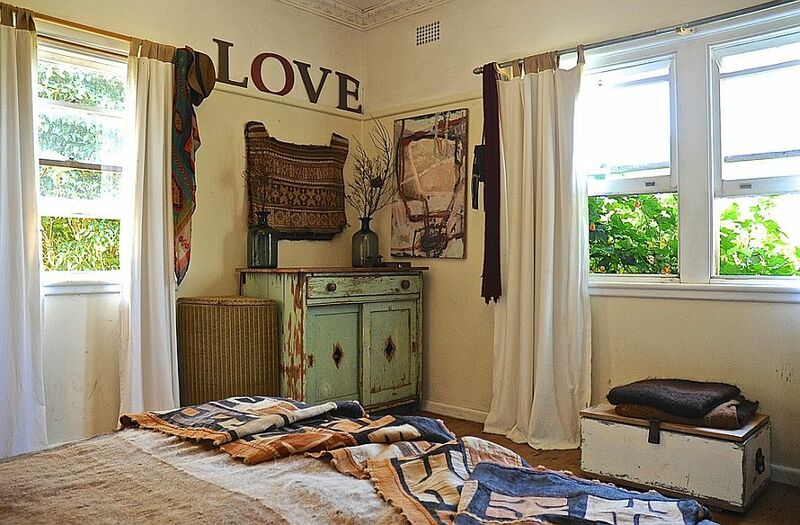 Décor crafted from natural materials, old, vintage mirrors that casually sit in the bedroom corner, a DIY nightstand crafted from old trunks or creative art pieces that add personality; this is the décor that truly helps fashion that dream shabby chic bedroom. 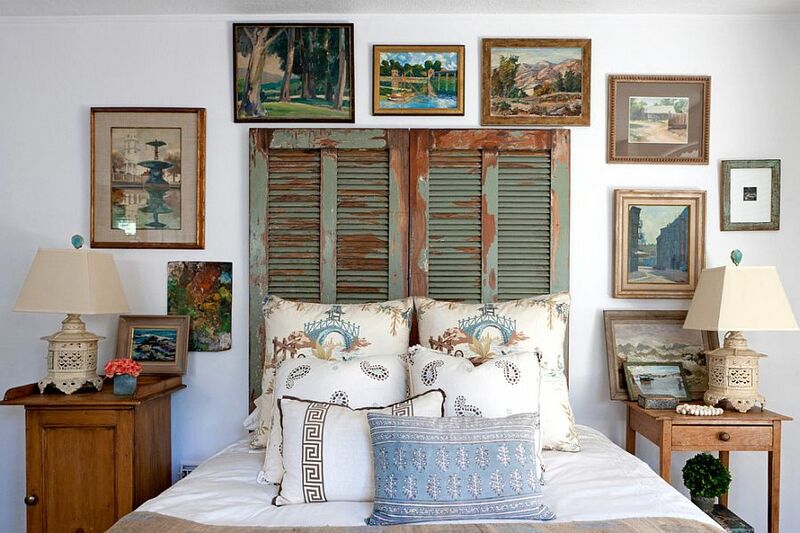 Admittedly, this is not a style for everyone, and you need both an appreciation for the ‘old and used’ furniture along with ample patience to get the right look. 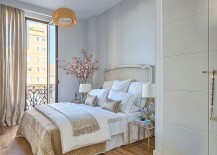 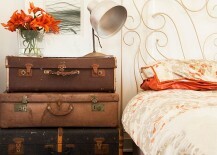 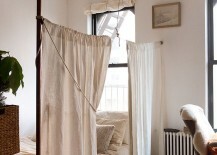 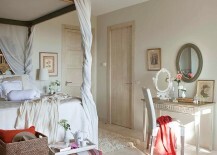 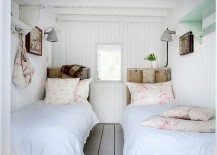 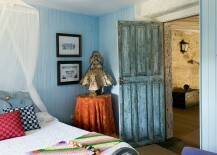 There is no strict rule that says shabby chic bedrooms should only be draped in white and white alone. 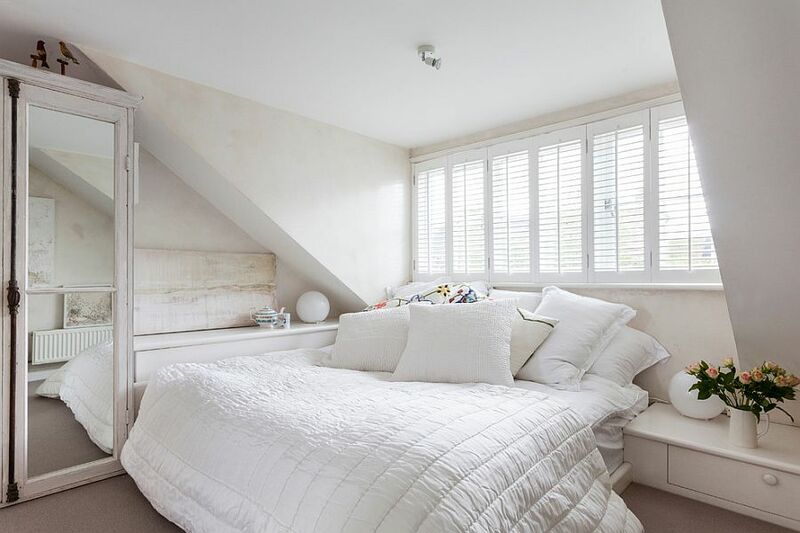 Of course, as you read on you will realize why white is a great option in most cases, but feel free to throw in a bit of your own ‘style twist’ to customize that bedroom with color. 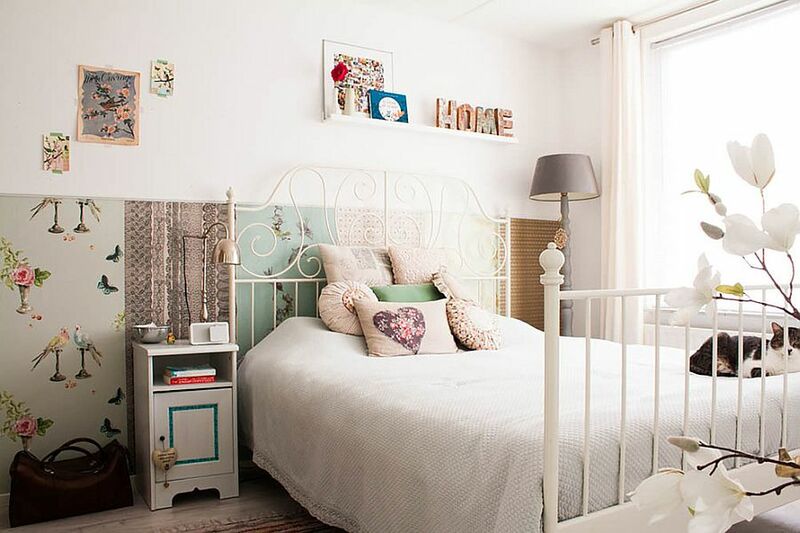 Pastel hues have gone on to rule the world of fashion and design in the last few years, and here is your chance to try them out in the bedroom as well. 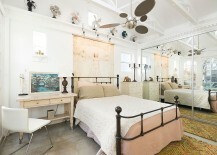 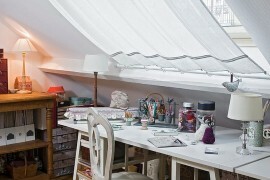 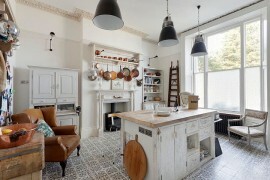 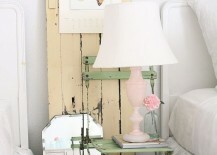 Pastels and shabby chic go like hand in glove, and it is an approach that never fails. 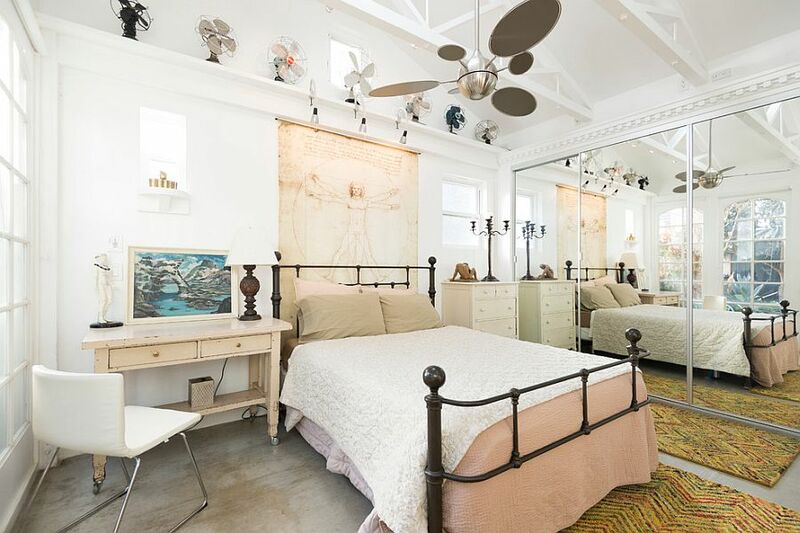 Gentle pink, watery yellows and elegantly cool greens help punctuate the antique decors and give them a colorful new lease on life. 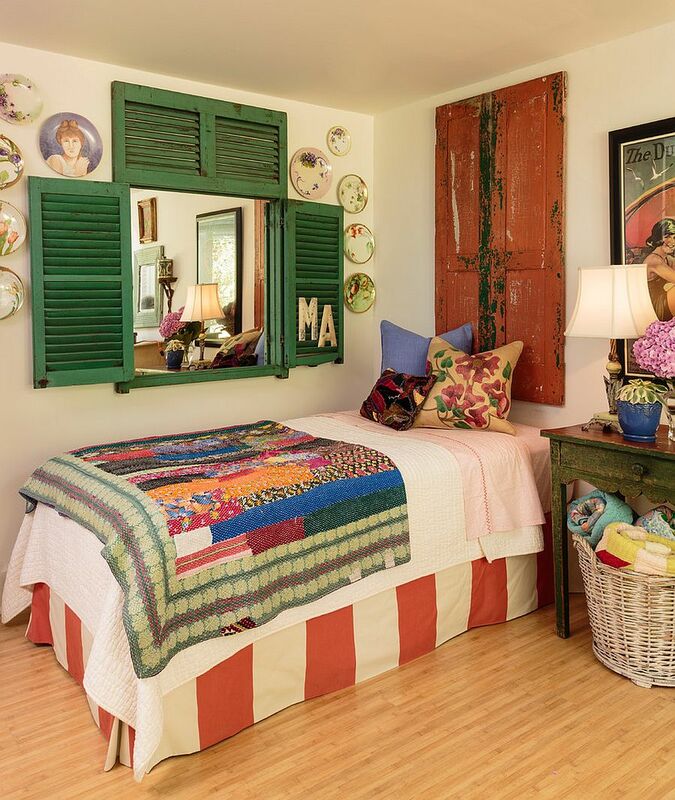 Those looking to combine a Bohemian look with shabby chic style can opt for throw pillows and bedding in brighter colors, while a French country or beach cottage chic styles demand far less color. 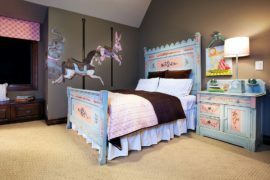 No matter what flavor you veer towards, remember that color is secondary to texture and finishes in the shabby chic bedroom. 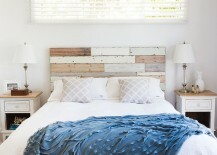 The headboard is one of those features in the bedroom that makes a big impact and can often define the style statement in the remainder of the room. 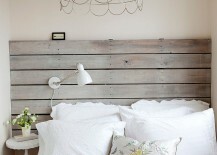 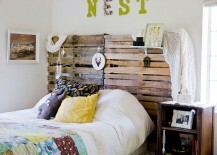 The headboard choices for a shabby chic bedroom are truly diverse, and it is often reclaimed wooden paneling or an old shutter or barn door that seems to do the job! 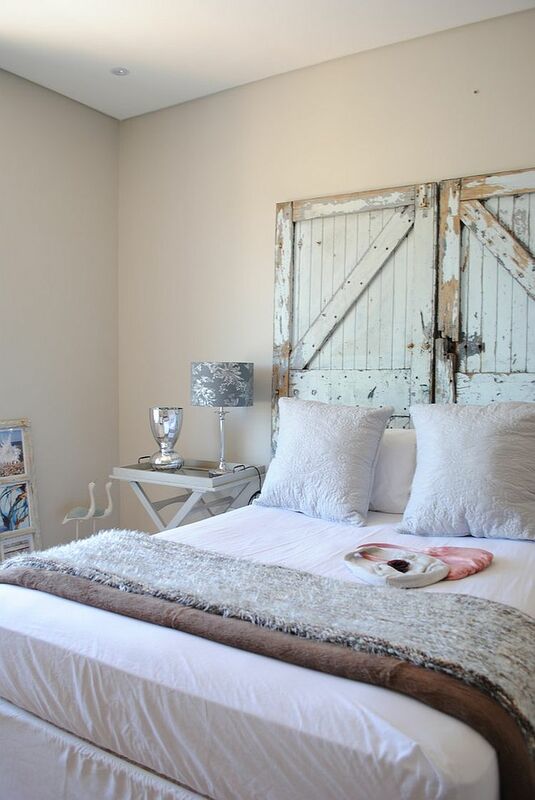 Adding a similar unique headboard in your own home is pretty easy if you can find one of these antique doors, and by just removing the existing layers of paint and painting it white, you get a headboard that is both refined and shabby chic. 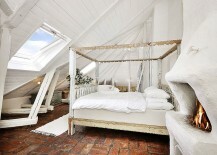 Fall in Love with White! 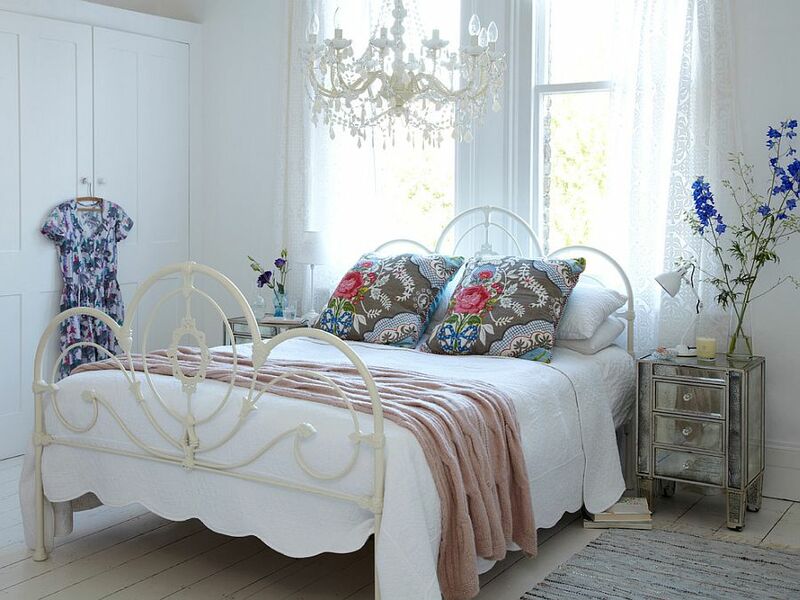 If you love white, want a bedroom that has a touch of femininity and wish to discard the glossy modern alternatives, then shabby chic is indeed the way forward. 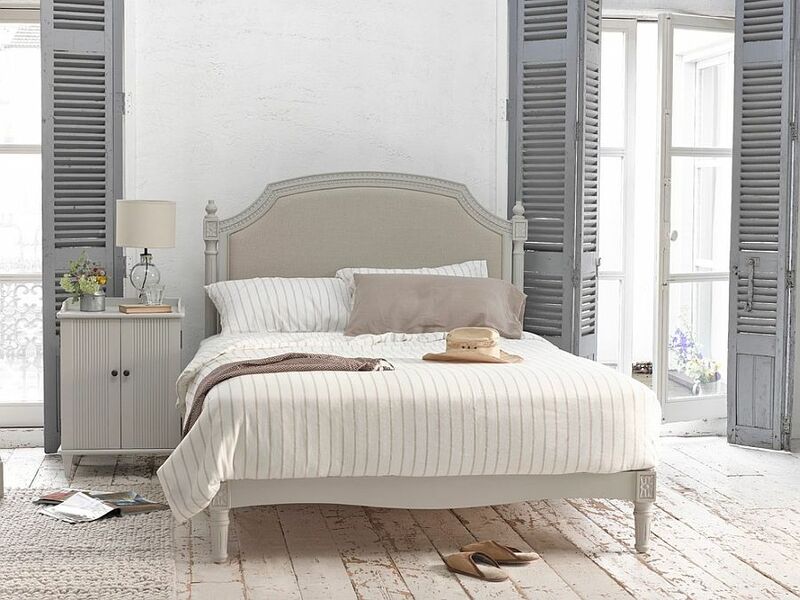 White is the preferred choice in most shabby chic bedrooms, as it sets a relaxing backdrop that lets your vintage finds and antique accessories shine though. 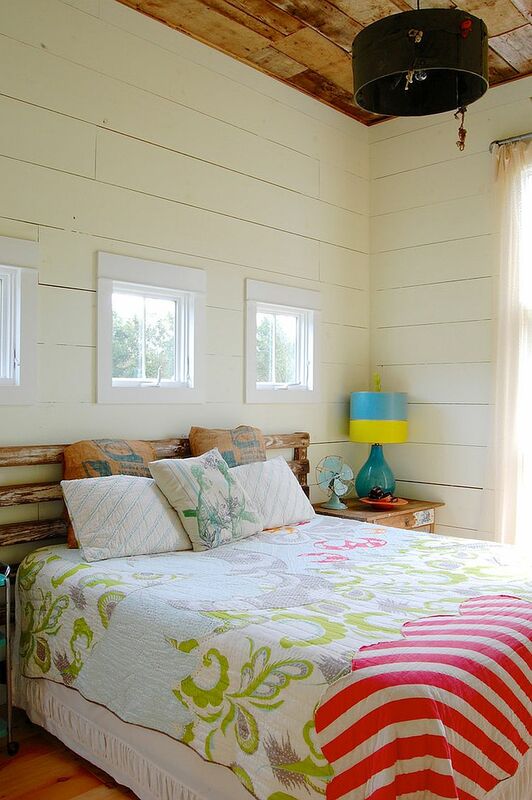 The use of various shades of white also minimizes visual fragmentation in the room, and it is a color that works beautifully with French country, beach cottage chic or just cottage chic variants of the style. 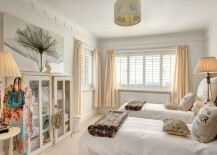 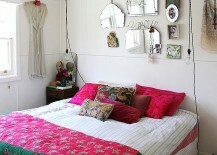 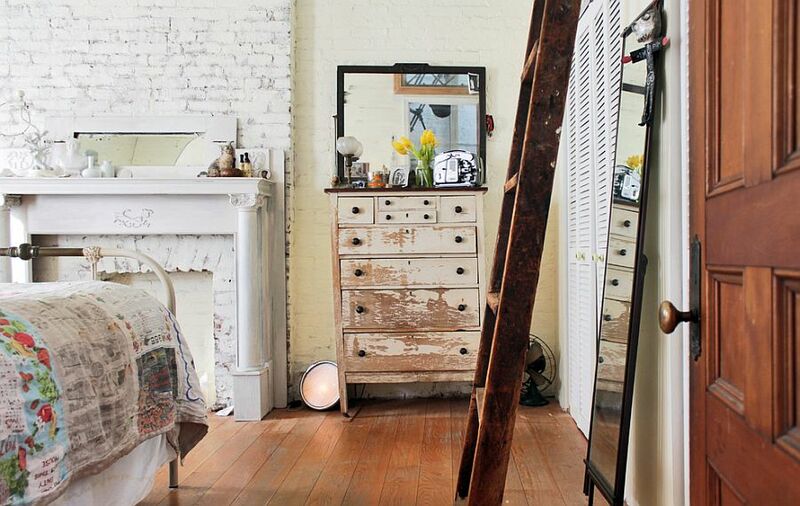 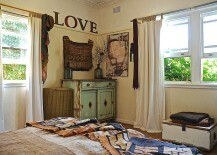 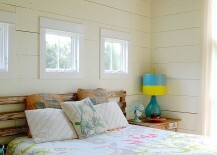 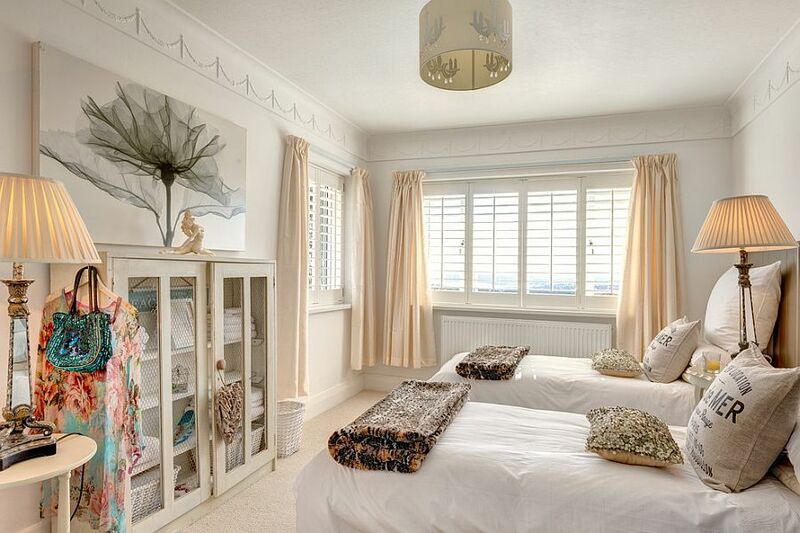 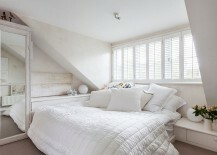 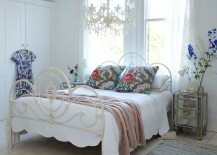 As a rule when in doubt, turn to white in the shabby chic bedroom! 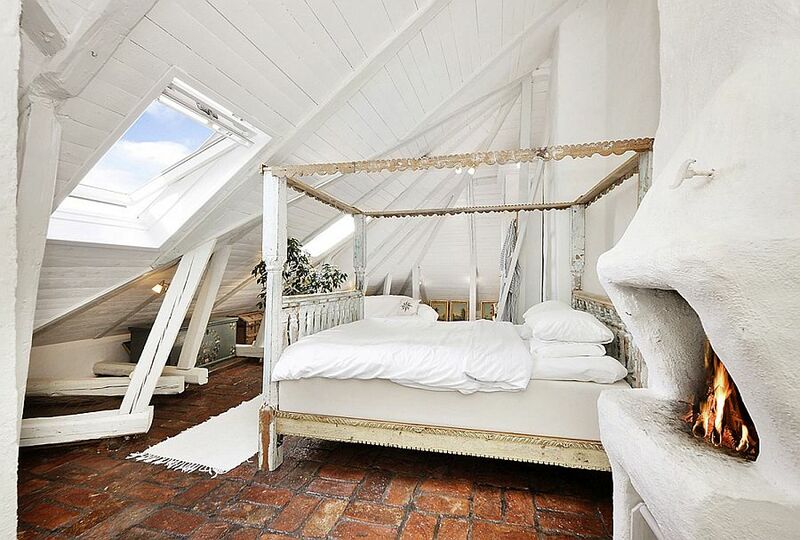 Most people tend to forget that the bed is indeed the central component of the bedroom and tend to focus far too much on everything else in the room. 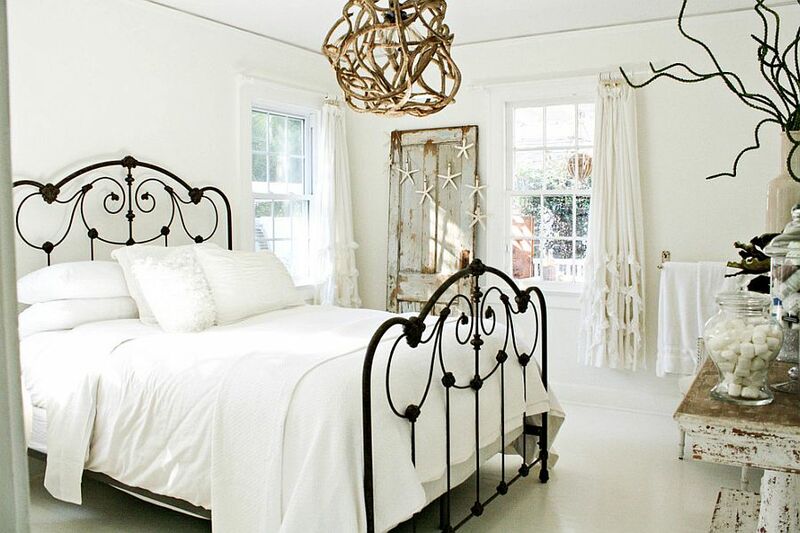 A vintage bed frame in wrought iron that is cleverly re-painted or a classic bed with European flair seem the way to go in most shabby chic bedrooms. 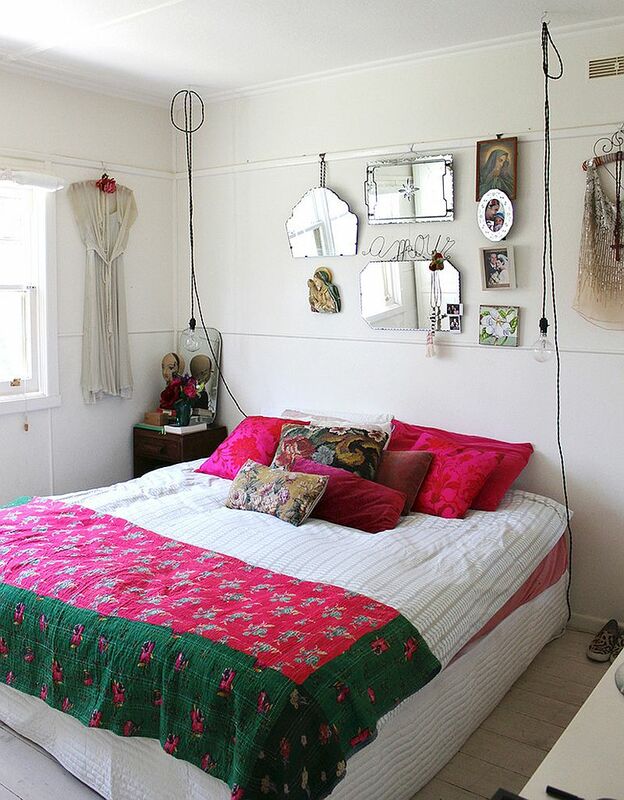 Obviously the choice of the bed is also determined by the size of the room and the décor around it, as you do not want to put an excessively large and indulgent bed in a small space. 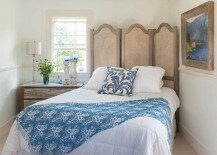 Plush bedding is the next step forward, as this is a style that encourages cozy comfort. 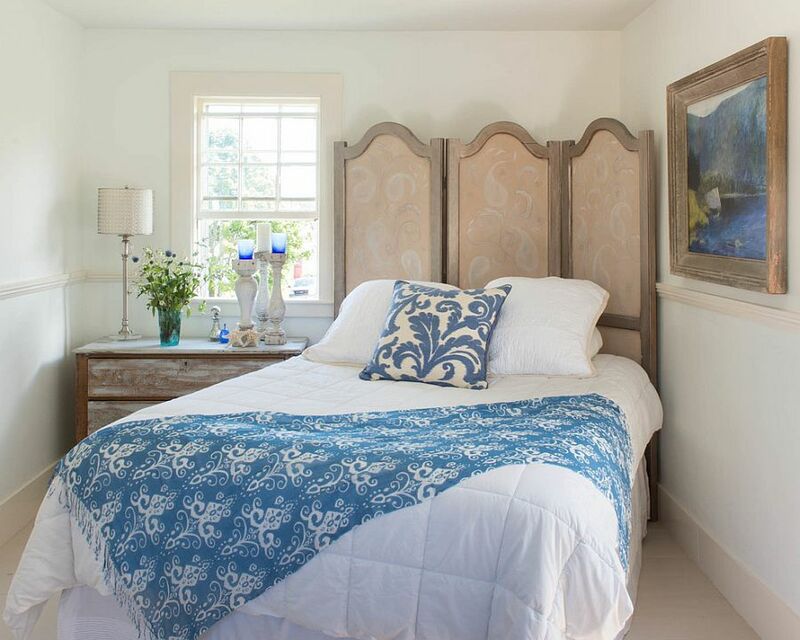 A safe way to start is by first choosing the bed and then working around it by bringing in matching side tables, lighting fixtures and accessories.